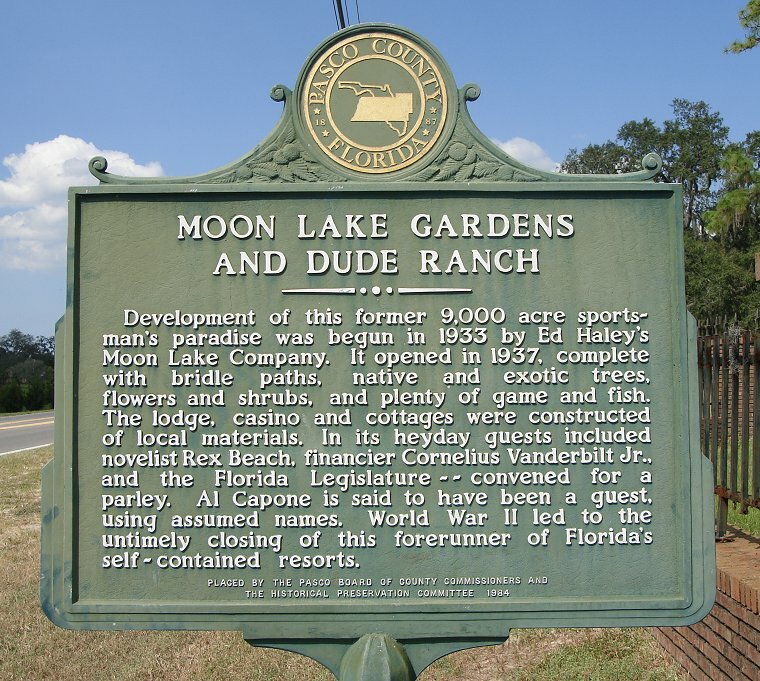 MOON LAKE GARDENS AND DUDE RANCH HISTORICAL MARKER. This marker is located on Moon Lake Road, 0.1 miles south of the intersection with Terra Ceia Ave., or about three miles south of SR 52, on the east side of the highway. In 1938 members of the Florida House of Representatives met at Moon Lake Gardens to select the next Speaker of the House. Al Capone had already been sent to prison by the time Moon Lake Gardens was in operation.